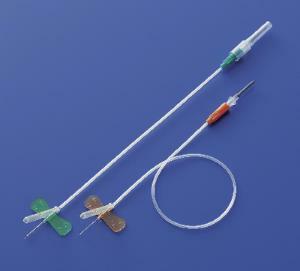 The protective needle shield locks into place over the needle to prevent injury. No change in needle insertion technique is required. Set components are latex-free. Ordering information: Sets are packaged in boxes of 50; each case contains 10 boxes.